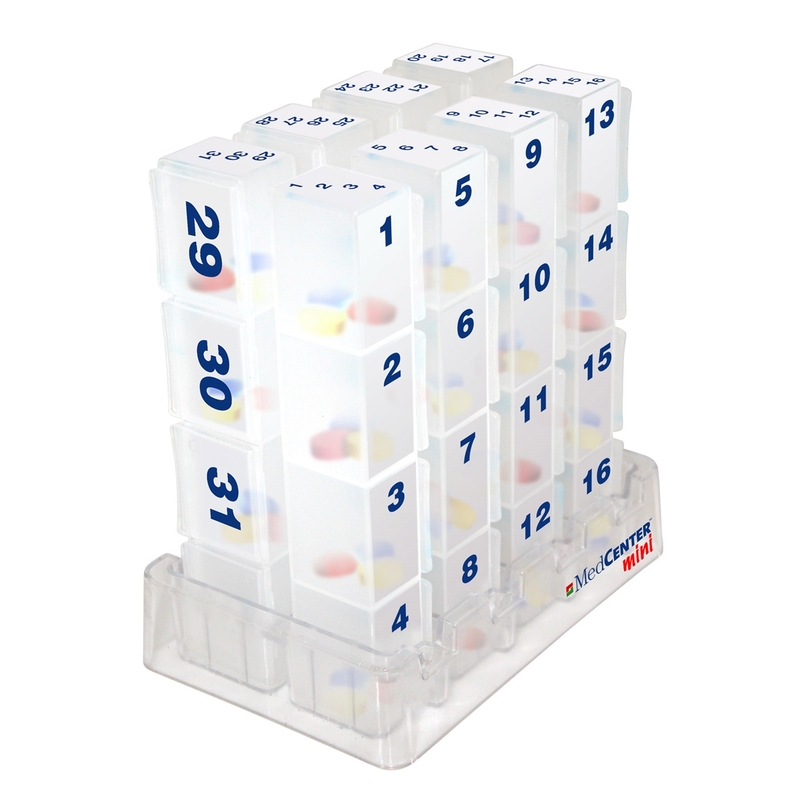 We’ve taken into consideration the customers who take only a small dose of daily meds and/or are in the need for a compact pill organizer that they only need to fill once a month and combined it with the advantages of the MedCenter Nylon Traveler XL. 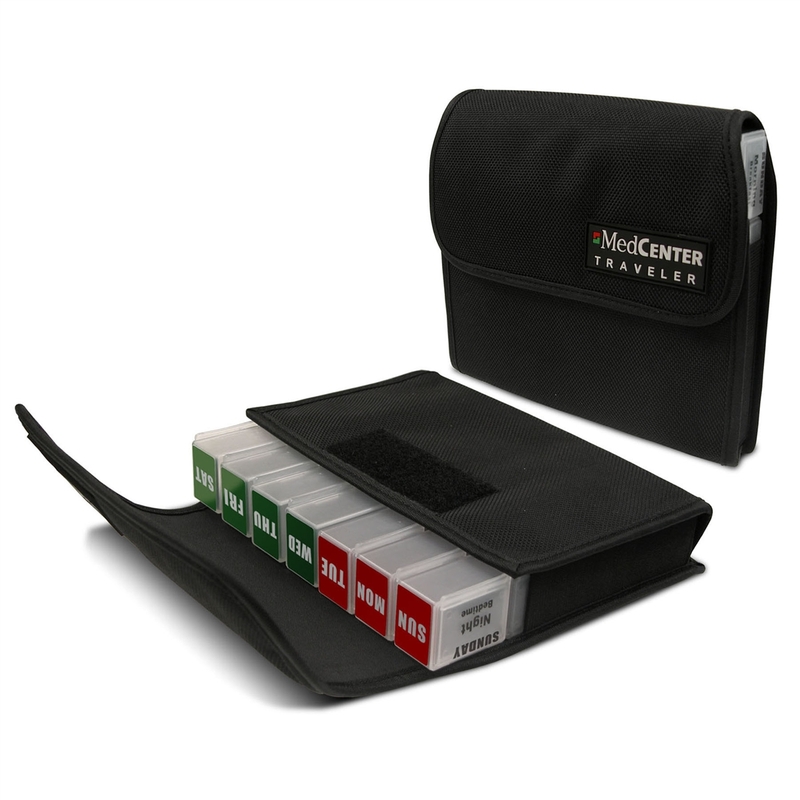 Introducing the “MedCenter Monthly Travel Combo”. This combo kit includes our 7-Day Traveler XL Nylon Pouch (which includes a week's worth of 6" pill boxes, marked with the day of the week) as well as our ultra compact Monthly Mini (with includes eight 6" pill boxes with each compartment marked with a day of the month). 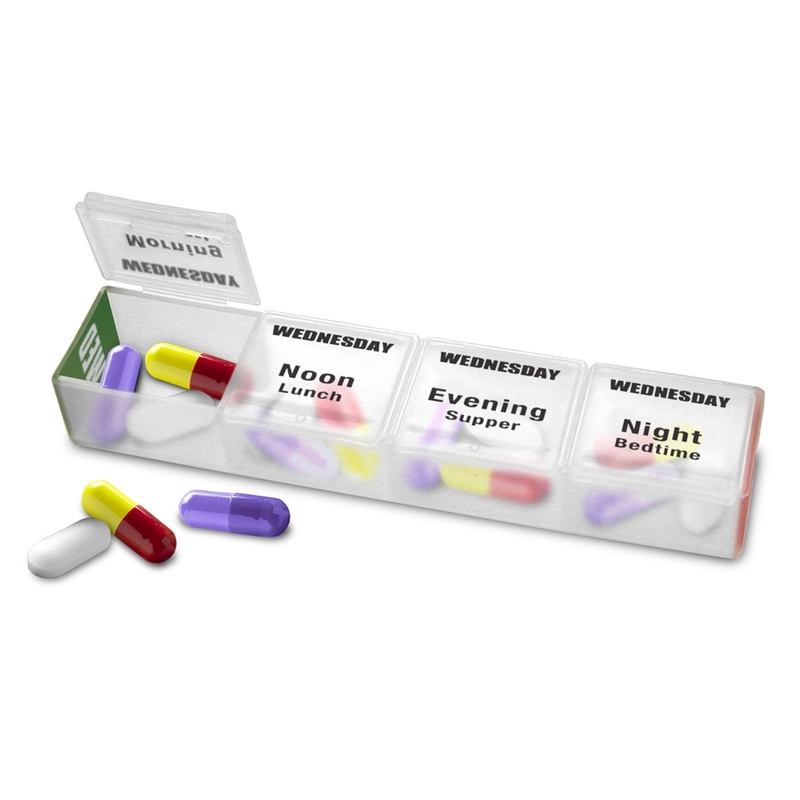 Each of the included eight Pill Boxes contains four, numerically marked, compartments for each day of the month. This gives you a total of thirty-one daily compartments in the most compact monthly organizer we have available. 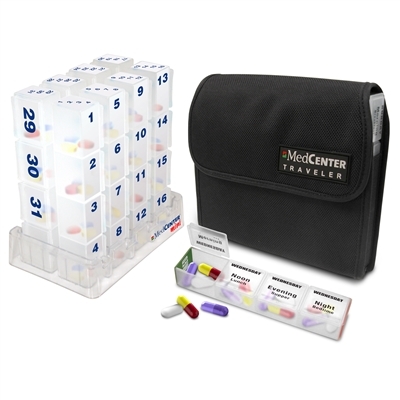 This compact nylon travel kit includes seven Large Capacity Pill Boxes (marked with the days of the week) in a convenient and durable nylon case. The MedCenter Traveler XL fits conveniently in a carry on or suitcase.